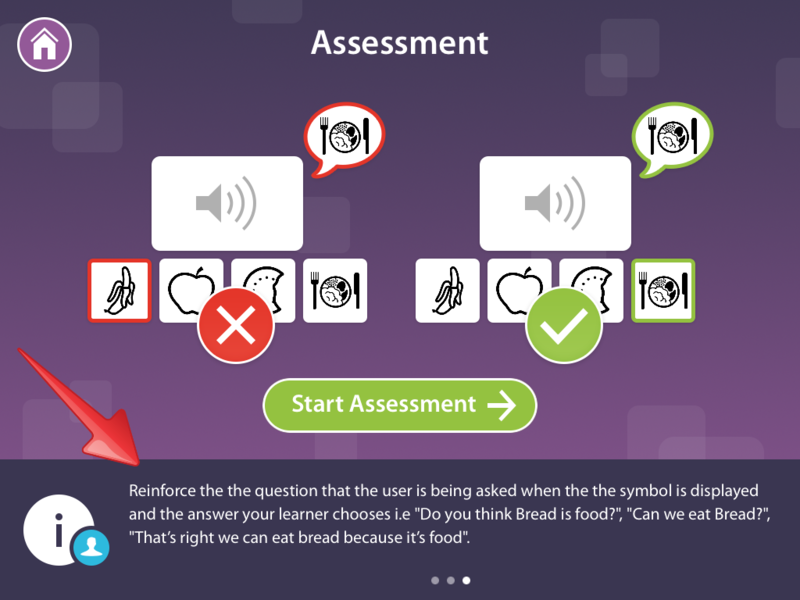 Learning Pathways is MyChoicePad's exciting new feature that uses the Makaton language programme to deliver a structured set of engaging activities that aid language development. In this guide we will be focusing in more detail on how you can use Learning Pathways to it's full potential to aid your learner's development. 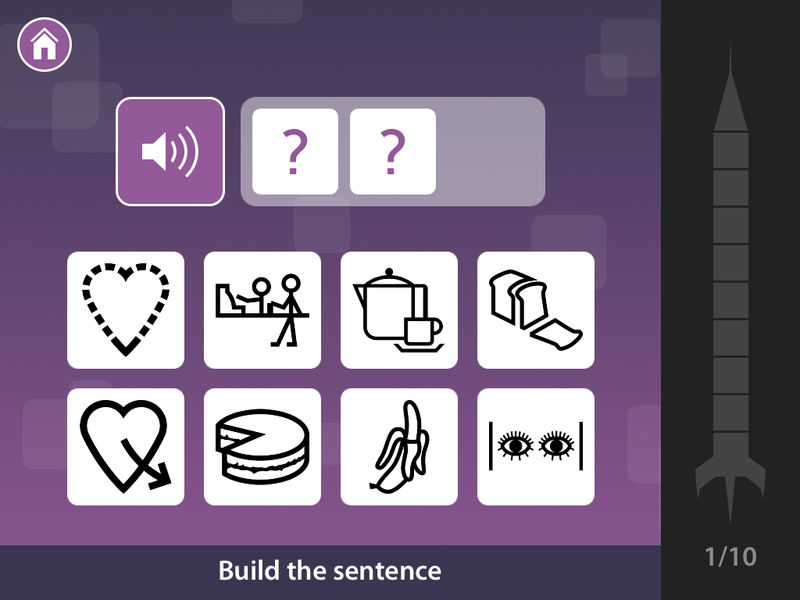 Learn new vocabulary, develop understanding and start building sentences! 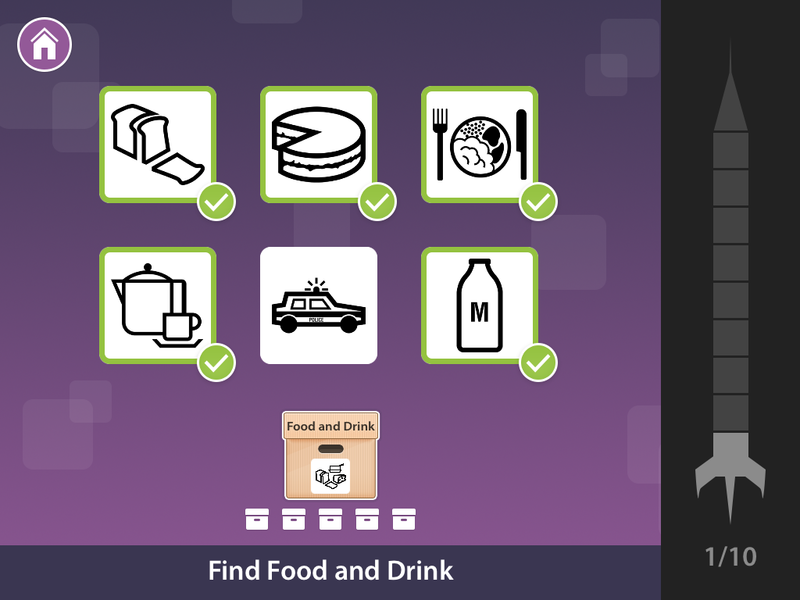 The program currently has four topic areas that each have set vocabulary for your user to engage with. These topics are structured in to three key steps that build on each other and develop a Learner’s language level. 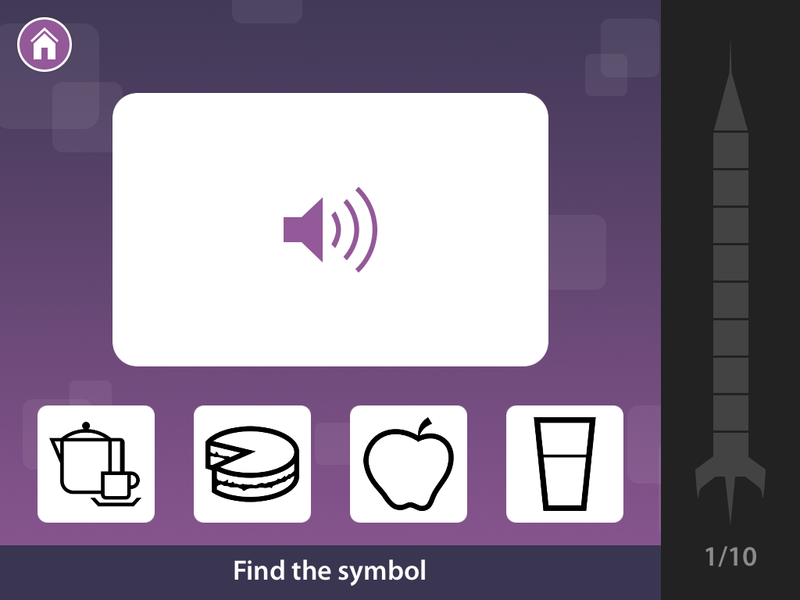 This step introduces the user to new vocabulary through activities which allow them to match hidden symbols as well as listening to a word and matching it to the correct symbol. This step also helps to develop concentration and attention to detail. 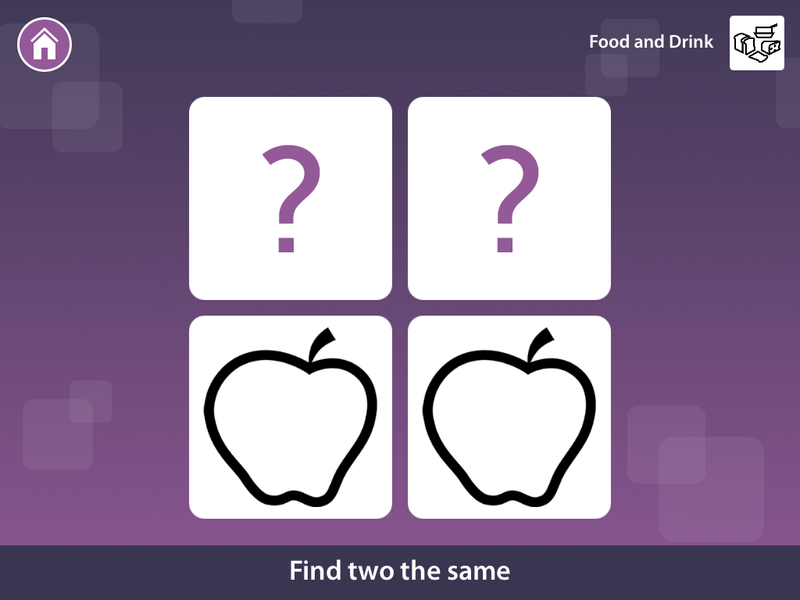 This is achieved by the user having to remember which symbol is behind which question mark. 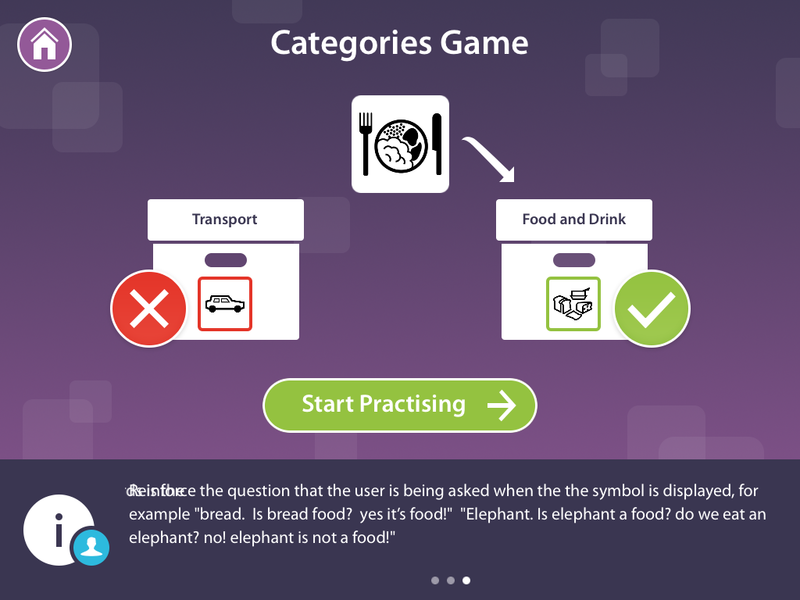 This step helps your learner to put the words they have learned in step one in to categories. This helps develop a deeper understanding of the words they are engaging with. Learning to group words is the start of structuring and organising language for later use. 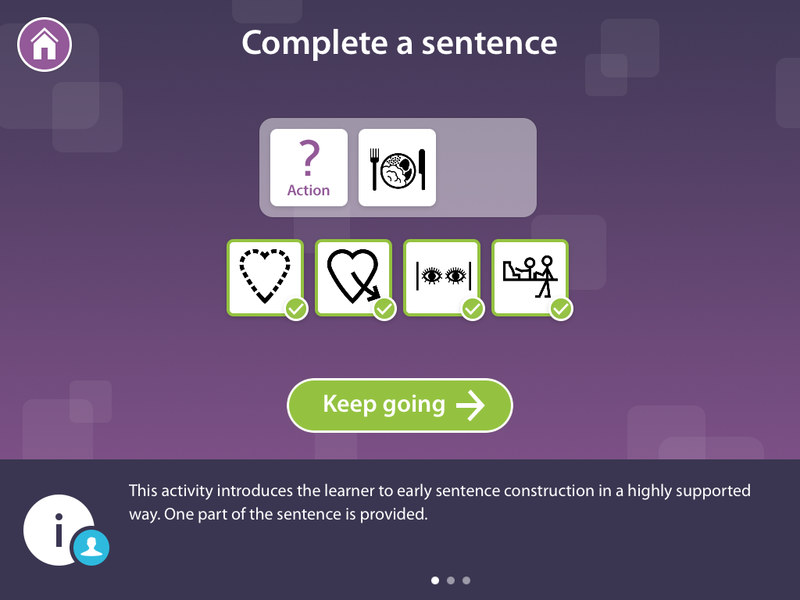 This activity introduces the learner to early sentence construction in a highly supported way. They will combine two words together that they have learnt in order to make meaningful sentences. Learning how to listen and act upon two chunks of information is an important step in language development and is a critical milestone. 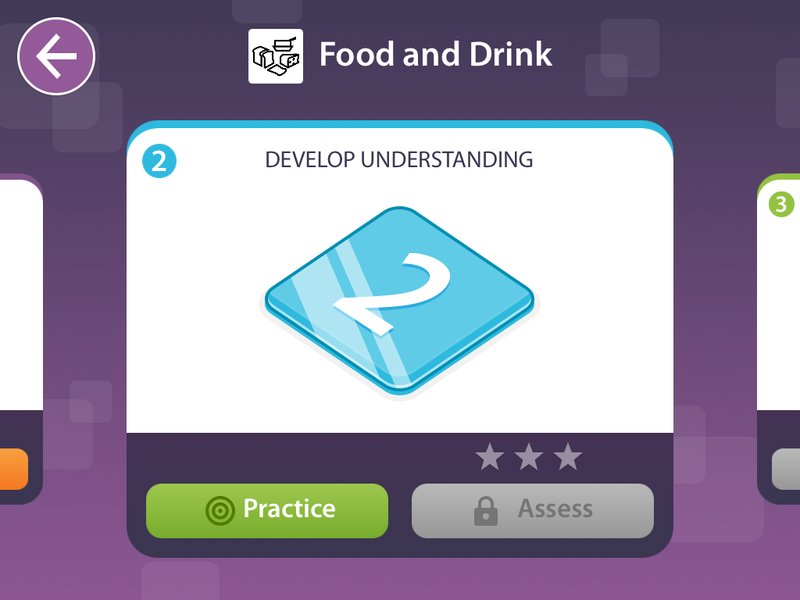 Before each Activity, a splash screen is shown to offer you guidance such as how to carry out the activity, why the Learner is doing it and what to look out for while they are doing it. It will also suggest things that you can do to make the activity more engaging for your learner. 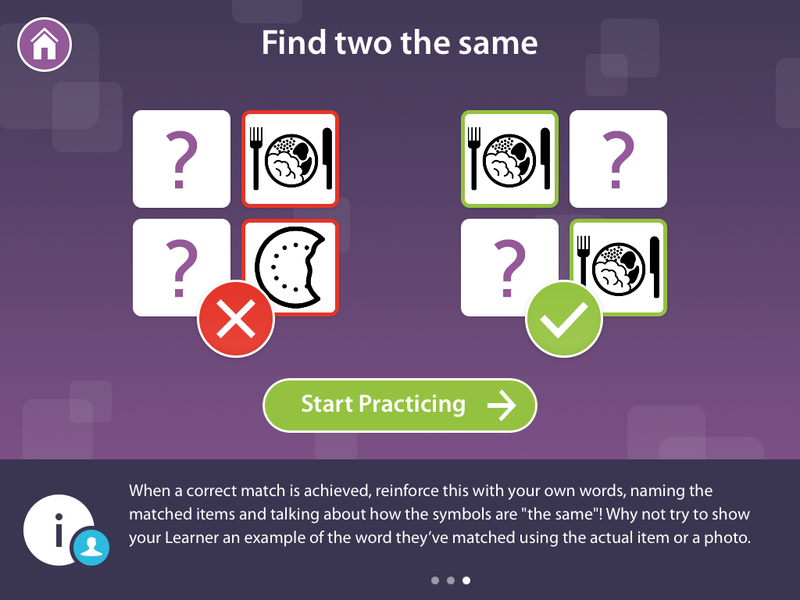 The programme is designed so that at each step your learner can practice the activity before being assessed on it, also giving them a chance to familiarise themselves with the vocabulary. Learning Pathways clearly displays the progress that a Learner is making through the pathway so that you can see what they are achieving together. 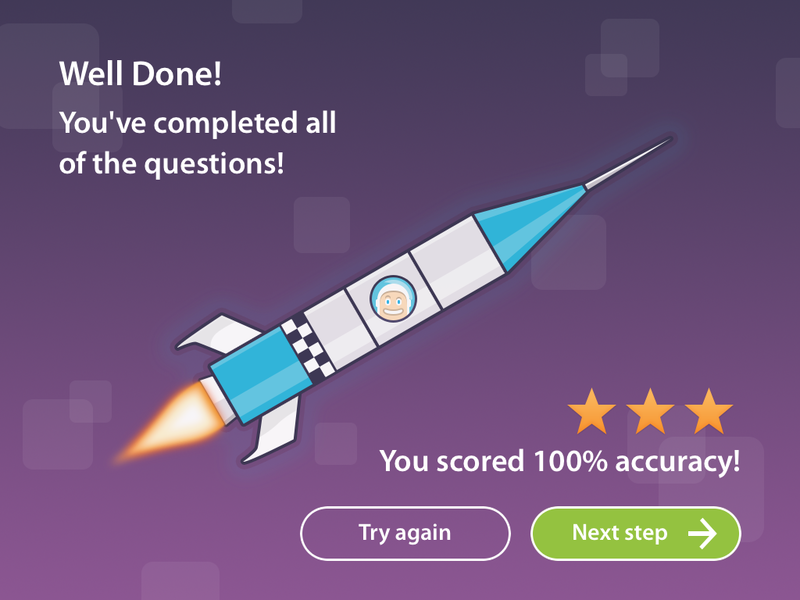 They will earn stars for accuracy achieved during assessments which will give them a sense of accomplishment.